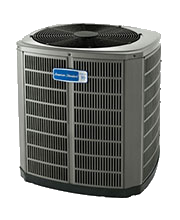 Air Conditioners - Gold 17 Air Conditioner | Products | North Central Mechanical Inc. This home cooling system's design keeps you comfortable, thanks to generous two-step cooling. Plus, with ratings up to 18.00 SEER, this central air system provides incredible energy efficiency saving you on operating costs. This home central air conditioner runs at 70 percent capacity except on the hottest days when it steps up to the second stage thanks to a two-step Duration™ compressor with two-stage cooling. *Potential energy use comparing an 8-SEER system to an 18-SEER high-efficiency system. Actual energy savings will vary.